There are many online services that allow you to reset your forgotten account password by answering security questions that you had answered while creating your account. The same feature has been added to Windows 10. 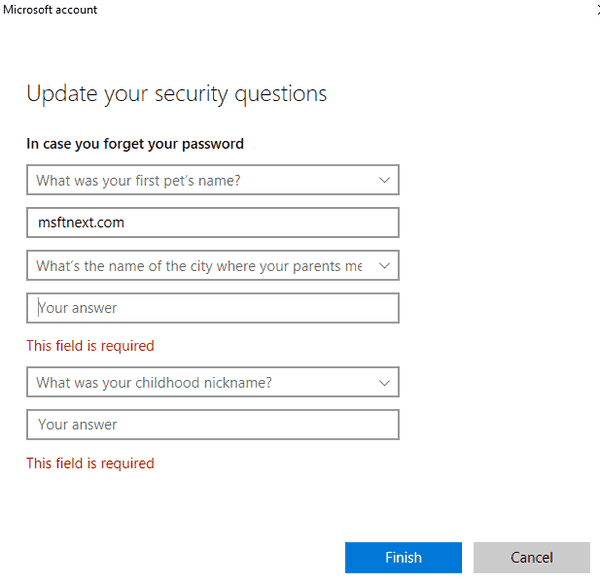 You can add Security questions to local user accounts in Windows 10. By default, Windows 10 assigns a barebones user avatar for every user account with a grey background and the user represented by white curves. The user picture is visible during sign in, as well as in the Start menu as a small rounded thumbnail image. This post explains how to change the default user picture to a custom image. Creating and managing user accounts is easy in Windows 10. For instance, you can enable or disable an account using different methods. 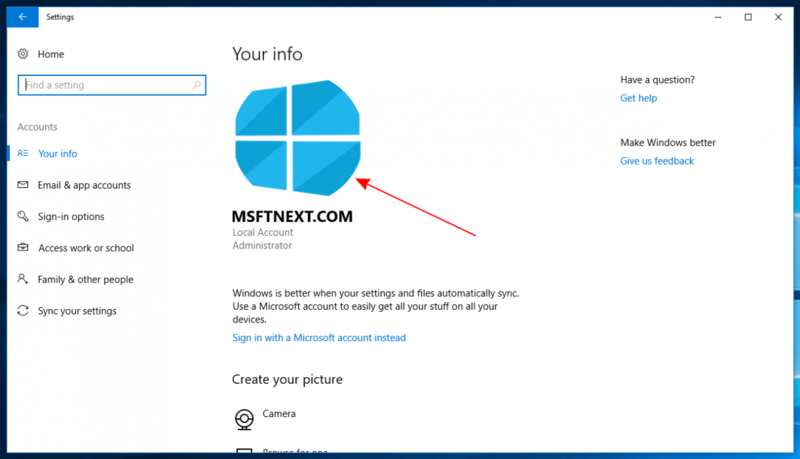 This post explains how to rename a user account in Windows 10. Windows 10 shows you a list of all user accounts available on your PC in the bottom left corner of the logon screen. You can click the user avatar, enter the password if necessary, and login using the provided credentials. If you have more than one user accounts on your PC, at times, you might want to disable a user account to restrict a user from accessing your PC. Users who upgraded to the recently released Windows 10 Fall Creators Update version 1709, faced with an issue with the login screen. 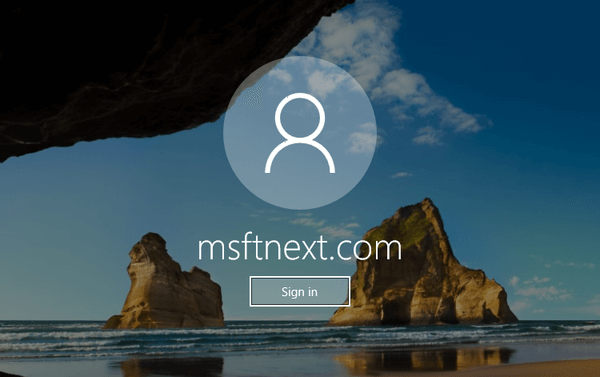 When they start the computer and sign in, the login screen may appear a second time, forcing the user to sign in in again. Many users report that the issue occurred even when locking and unlocking the workstation.